Welcome to YQtravelling’s FoodFriday. The day of the week when I show off some of the lovely eats I had while travelling. Today, we’re still in Chile but we’re having food that is not Chilean. Does that even make sense? Let’s eat. For the past few weeks, we ate good and bad food in Chile as well as fast food. Today, we’ll be munching on some exported cuisine, just to mix up our palate a bit. My first meal in Chile wasn’t Chilean. It was Japanese, although not very authentic Japanese. I found out about the restaurant in the inflight magazine and was tempted by its weekday set lunch. On the plane, I switched on Tripadvisor’s offline map to locate where the place was and found out that it was within walking distance of my hostel. When I got there, I was seated on the second floor where I could look down at what the other patrons were eating. The different parts of my lunch set came at different timing. 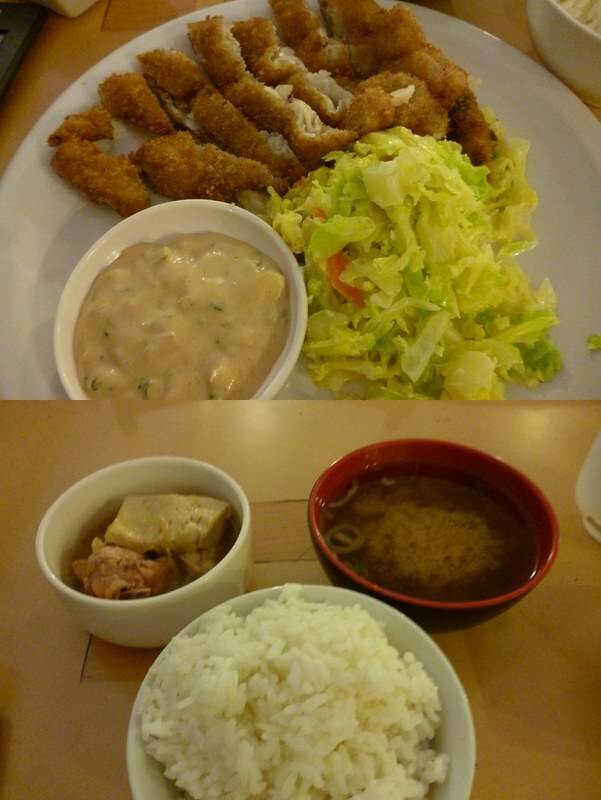 It was odd as it felt like they wanted to separate the set into appetizer, mains and rice? The meal was tasty and I was glad that the usual salad was replaced by boiled vegetables. I dislike raw veggies very much. While at the Japanese restaurant, I was horrified to find Chileans dunking their sushi into soy sauce as if to drown the whole thing in the black liquid. Then I almost fainted when I saw them sipping espressos after their meal. Despite being a food snob, it’s fun to see how people adapt different cuisines. Leslie (whom I met on the internet. Long live technology!) 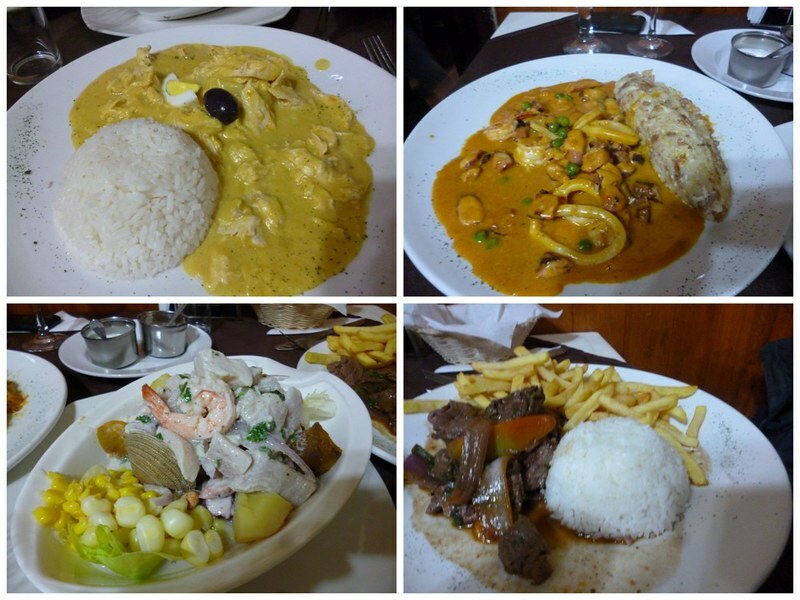 and her boyfriend, Marcelo, brought me to a Peruvian restaurant near my hostel. I’ll let the photos do the talking. SO MUCH GOOD FOOD! I’m not the type to insist on eating Chinese food when I travel. But during this trip, I realized that the maximum time that I can skip Chinese food is about 4 months. By the time I was about to head to Hong Kong, I started dreaming about the delicious delicious food there. 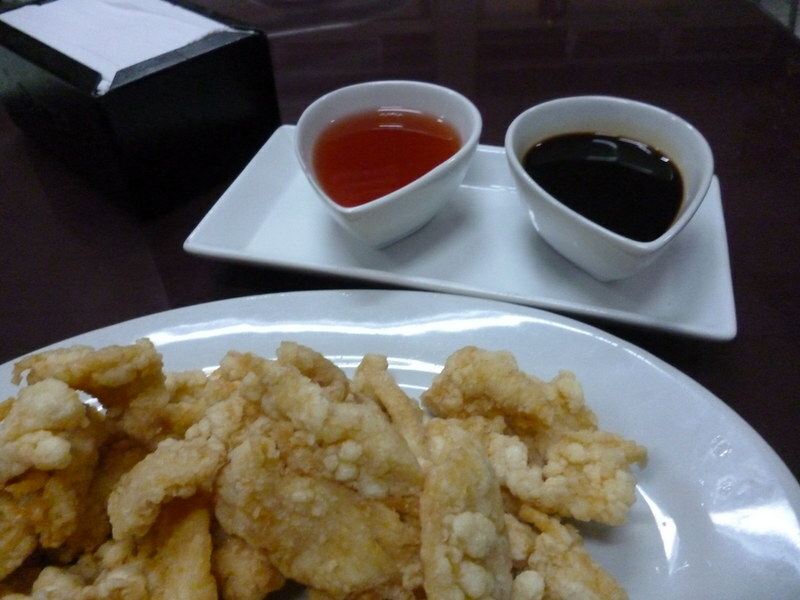 Anyway, while in Arica, Chile, I stopped by a Chinese restaurant because it was near my hostel. The menu was in Spanish and I had no idea what chicharron de pollo was but I figured that anything with chicken couldn’t be that bad. I included a serving of fried rice with my meal. And the rice was quite authentic Chinese food. 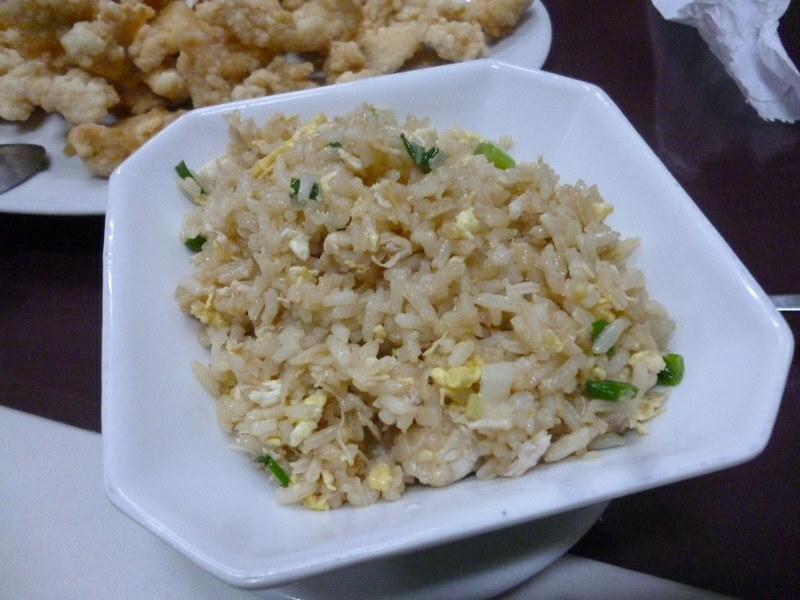 But then it’s rather difficult to make a bad fried rice dish. There you go, that was the few “foreign” food I had in Chile. What was the strangest thing you have eaten abroad? Share your comments in the section below.